Southland Times cycling writer Scott Donaldson talks to 26-year-old Eddie Dawkins before the 2016 Oceania Track Cycling Championships. Southland's Eddie Dawkins will be in action with team-mates Sam Webster and Ethan Mitchell on the first day of the 2016 Oceania Track Cycling Championships, as the 2014 World Championship winning New Zealand combination lock horns with rivals Australia in the mens' team sprint event. Dawkins will be riding in the team sprint, men's sprint and the keirin, and is hoping for gold in the team sprint and the keirin after racing in Europe. "We have been overseas training for the World Cup season and I raced well, winning the sprint and keirin competitions as well as breaking the 200m track record in Poland," he said. Dawkins has been preparing for the event with a mixture of track and gym work. "I have been training with my team on the track and in the gym," he said. The Oceania Championships are good preparation for the Rio 2016 Olympic Games. "The next year is a big dress rehearsal for the Rio 2016 Olympics and the Oceanias are a good stepping stone and form finder," he said. Dawkins is no stranger to the Oceania Championships where he has experienced success in the team sprint and 1000m time trial before. "I've raced the Oceanias many times where I have won the team sprint and kilo," he said. As a local rider, Dawkins is looking forward to racing in Southland, in front of a home crowd. "It always gives me a boost, I love it down here," he said. Southland riders Dawkins, Cam Karwowski, Nick Kergozou, Natasha Hansen and Kirstie James are racing in New Zealand colours for the event where they will join 34-year-old Ashburton rider Hayden Roulston, who returns from a seven-year hiatus from track cycling. The New Zealand team also includes Matt Archibald, who won a bronze medal in the 1000m time trial at the 2015 World Championships, Olympic keirin bronze medallist Simon van Velthooven and 2013 omnium world champion Aaron Gate. 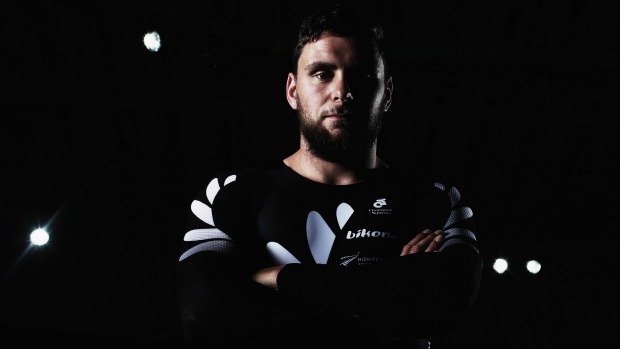 The New Zealand men's team sprint combination won't have things all their own way, with the visiting Australian sprint team featuring Matthew Glaetzer and Shane Perkins, who won the 2012 World Championships team sprint title. There are plenty of other riders to watch out for during the four-day championships, which features over 150 cyclists and 35 different cycling events. In the women's events, eleven-time world champion and double Olympic gold medallist Anna Meares leads the charge for the visitors in the keirin, sprint and team sprint. Other Australian riders to watch are three-time world champion Kaarle McCulloch, Commonwealth Games sprint champion Stephanie Morton and promising junior world championship medallist Caitlin Ward. The opening night of the championships promises plenty of excitement, with the men's team sprint and team pursuit, the men's 1000m time trial and women's 500m time trial, and scratch races for women and men all to be contested. The event is important for riders hoping to qualify for the Rio Olympics next year. "It is fundamental in our elite and development New Zealand teams accumulating points which are invaluable in their ultimate selection for the team attending the Rio Olympic Games in 2016, " Cycling Southland communications officer Melissa Chilton said. The 2016 Oceania Track Cycling Championships run from October 8 to 11 at the SIT Velodrome in Invercargill.